... finally got some good news when in his December letter, CIO Russell Clark announced that after returning 5.54% for December, the month emerged back in the green for the full year, up a modest 2.27%. 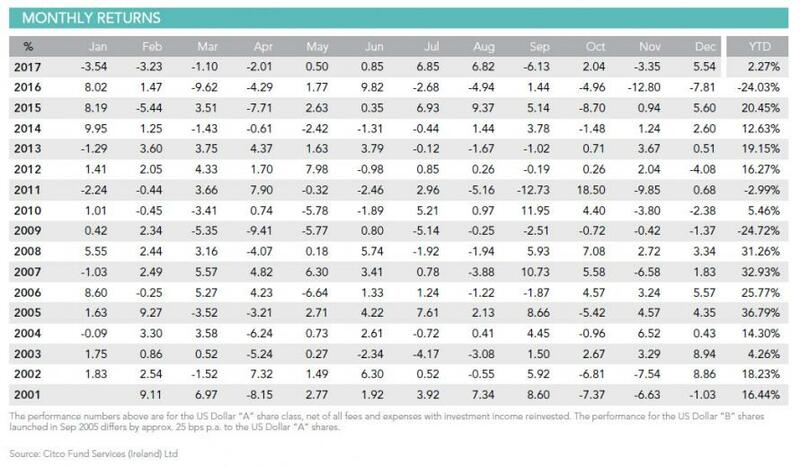 However, what caught our attention was not the fund's performance, which after a -24% 2016 barely closed in the green in 2017 (and suffered a dramatic plunge in AUM as a result), but Russell Clark's comments on the plunging USD, a topic which seemingly everyone has an opinion on. Specifically, we found his comments notable because if he is right, the dollar slide will only accelerate, and will have profound consequences not only for assets, but for the US and global economy in the not too distant future. Here is Clark's "fascinating" - as he puts it - theory about the source of dollar weakness, and more troubling, why what is about to happen next will make the recent collapse in the USD seem like a walk in the park. Since the financial crisis, I have tried to apply the Japanese Quantitative Easing (‘QE’) model to the world as more and more central banks moved to zero or negative interest rates and asset purchase programs. In Japan the practical effect of QE has been for Japan to export capital, and this creates credit bubbles in the recipient countries. The country receiving the capital then has to deal with the credit bubble by devaluing and exporting deflation back to Japan. In my view, Japanese QE was the cause of the Asian Financial Crisis, and played a role in the Global Financial Crisis and the Eurocrisis. In Japan QE has meant my strategy has been to always be bullish JGBs, and short Japanese equities whenever they attempt to exit QE, and short the currencies of countries that had accepted QE capital flows. 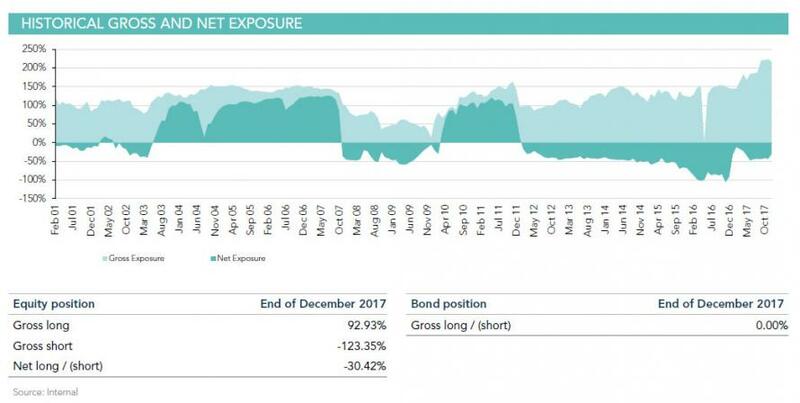 From 2013 to 2016, shorting various emerging markets, and being long developed market bonds was a winning strategy for the Fund. However, in 2016 Chinese policy changes seemed able to reverse this trend, mainly through government mandated capacity cuts. I have seen many fund managers and economists hold on to investment and economic ideas long after they have been proven wrong, so given this break in the model, I thought it wise to question many of my investment ideas, particularly on bonds. It is very easy to get bearish on bonds. With Chinese growth improving, and commodity prices rising, inflationary pressure is building. Furthermore, Chinese bonds currently offer 4%, substantially higher than developed market bonds. In addition, in a break with the Japanese experience of QE, the Federal Reserve has managed 5 interest rate increases, rather than only the one or two that Japan has been able to achieve since the bursting of the bubble. The refrain that I have heard these days is that QE works, and the US will be able to easily exit QE policies, followed by the ECB and the BOJ, and that bonds are a sell. December tends to be quiet, so I have had time to reflect on market views on QE. Looking at how the US dollar has traded, and the performance of bonds, I am beginning to think that the model is not broken, but needs to be adjusted for the fact that QE is now undertaken by various central banks simultaneously, rather than just by Japan. The big increase in QE from the ECB and the BOJ that we saw in 2016, has seen capital move from Japan and Europe to the US. This has meant that even as the US has raised rates, credit conditions have remained very favourable. This combined with a recovery in China has created an extremely favourable market for all assets in 2017. But what does it mean for 2018? Well, if the QE model still holds, then the capital flows from Europe and Japan to the US are beginning to slow and even reverse. The implications of this is that the strategy is to be bearish US dollars and bearish on US corporate credit. It also implies being bearish on European and Japanese banks, and buying of bunds and JGBs, however this remains to be seen. Intriguingly, all these assets are already beginning to move this way. The full implications of thinking this way are fascinating. The worst-case scenario would be profound dollar weakness forcing the Federal Reserve to increase interest rates much more quickly than expected. Dollar weakness would cause Japanese and European exporters to suffer, forcing money into JGBs and bunds. This would be like the capital flight market in the US we saw in the late ‘70s. For reference, Swiss bonds yielded only 2% in the late 1970s, even as US rates went to near 20%. Naturally, it would be poetic justice if the payback for the world's biggest (and really only) globally coordinated episode of QE which injected some $15 trillion in QE in capital markets, was a just as rapid, and accelerating episode of rising interest rates, starting with the US, in the process crushing US stock first and then spreading like a tsunami around the globe. Maybe mean reversion is not dead after all, maybe it's just waiting for the right reversal to remind the economist PhDs in the Marriner Eccles building that there is no such thing as a free lunch... or free all time highs in the stock market. And incidentally, for those who are wondering, Horseman "remains long emerging markets, short developed markets."